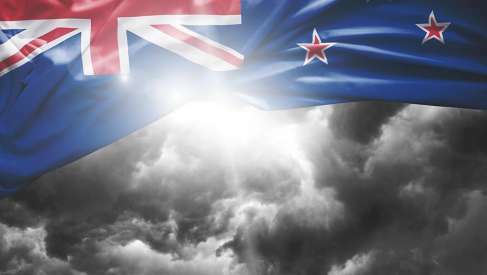 Foreign exchange strategists at antipodean lender NAB have revised their forecasts for the New Zealand Dollar in the new year, and show the Pound should climb above the 2018 psychologically significant 2.0 marker again in 2019. The New Zealand Dollar is forecast to run in roughly the centre of the ‘chasing pack’ of G10 currencies. 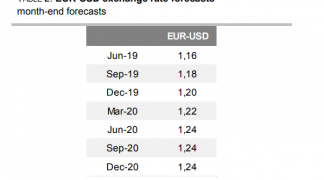 It will trade mixed against the majors: rising versus the U.S. Dollar but falling versus the Pound, which is forecast to outshine as Brexit fears abate. The New Zealand Dollar took a hammering in 2018 as global growth fears weighed on its export-oriented economy. Yet on the upside, to some extent, much of the ‘bad news’ has now already been priced in. “A weaker global growth backdrop would normally be a headwind for the NZD, but the market became overly pessimistic late last year on the outlook in our view and risk assets are already well priced for the global slowdown that is likely to ensue,” says Ray Attrill, head of FX strategy at NAB. 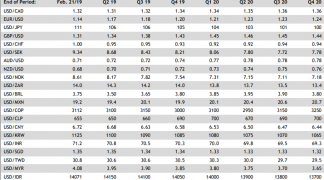 Another factor to consider is the price of milk - milk being New Zealand’s biggest export - which is bouncing off a low floor as dry milk powder stockpiles in Europe run down and need replenishing, driving up the price of the commodity. 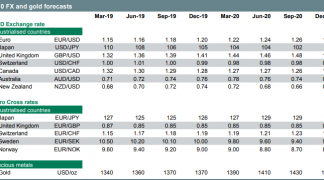 Interest rates are also a key determinant and although these are not expected to change by much in New Zealand in 2019, it is more or less the same story all over the developed world, so the Kiwi is unlikely to gain or lose an edge from interest rate differentials. “The market prices in a good chance of the RBNZ easing policy this year but we disagree with that projection. Core inflation remains close to target and the unemployment rate remains at a historically low level of 3.9%,” says Attrill. Although bank lending rates are expected to change as the Reserve Bank of New Zealand enforces regulation increasing required bank capital ratios, NAB sees this as a “slow-burning issue”. A further issue will be the progress or otherwise on U.S.-China trade talks particularly the expected visit of China's Vice Premier Liu to Washington at the end of January. NAB forecast the NZD/GBP exchange rate to trade at 0.50 by end-March and the 0.48 for the rest of the year. This translates into a Pound-to-New Zealand Dollar exchange rate (GBP/NZD) of 2.0030 and 2.0835 for the respective timeframes. This represents a move to GBP/NZD's highest levels since October 2018. The primary driver behind the GBP/NZD advance will be a recovery the Pound as the "tail risks" of a disorderly Brexit fade. "We can say downside risks remain but they are diminishing to the point where we suspect financial markets are not far from taking a wholesale more bullish view on GBP," says NAB. 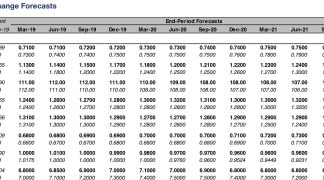 Meanwhile, forecasts for the Kiwi against the Euro see 0.58 for end-March and 0.57 for the rest of the year. Turning to the headline New Zealand-to-U.S. Dollar exchange rate, NAB forecasts 0.68 for end-March, 0.67 for end-June, 0.69 for end-September and 0.70 for year-end. “We see the NZD anchored around 0.67-0.70 this year, with temporary excursions outside that range,” say NAB in its note.